Three people died in separate incidents on Friday as clashes erupted between security forces and supporters of ousted President Mohamed Morsi. Two people died and a third was injured amid “rallies” in the governorate of Fayoum on Friday afternoon, the Ministry of Health reported. A policeman was also killed on Friday night in the Matareya neighbourhood of Cairo, the Ministry of Interior announced. The Ministry of Health reported that one man died of “natural causes” as he walked by a protest in Fayoum, adding that the body of the deceased had no injuries and that his death had nothing to do with the clashes. The Anti-Coup Alliance, a group of political movements who support Morsi and call for his reinstatement, disputed the ministry’s description of events, however. The alliance stated that the deceased, a 62 year-old-man, suffocated from the teargas security forces fired on protesters. The alliance also accused security forces of shooting the other victim, a woman. The Ministry of Interior meanwhile accused a group of Muslim Brotherhood supporters of shooting and killing the police officer outside a metro station after marching from a mosque nearby. He was reportedly shot in the chest; it instantly killed him. 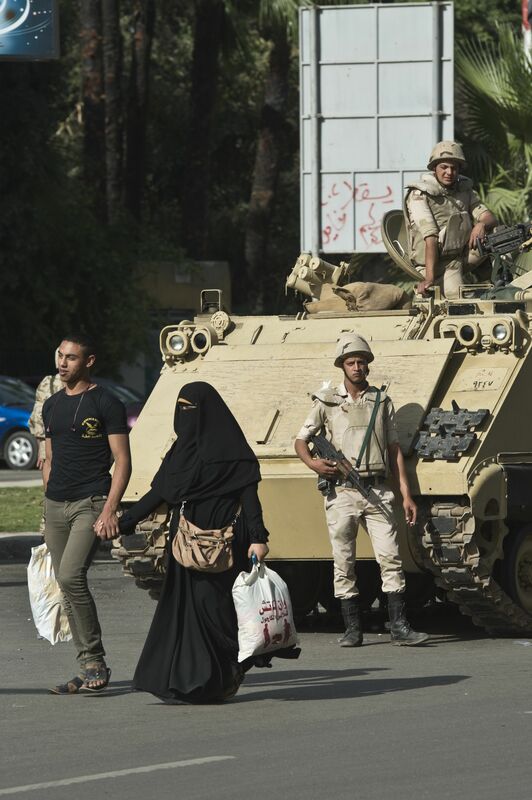 The Ministry of Interior said in a statement that a “limited” number of Muslim Brotherhood supporters held protests in several neighbourhoods in Cairo including Ain Shams, Matareya, and Al-Marg. Of those who rallied in Alexandria, the ministry announced arresting 10 protesters. The ministry also said that a homemade explosive device went off in the governorate of Minya, leaving no casualties. Morsi supporters have been holding protests against the former president’s ouster on an almost weekly basis since the armed forces unseated him on 3 July. Friday’s protests were the most violent in weeks, as protests have been gradually losing momentum amid a security crack-down on the Muslim Brotherhood and its supporters. On 25 December, former Prime Minister Hazem El-Beblawi’s cabinet listed the Muslim Brotherhood as a terrorist organisation.